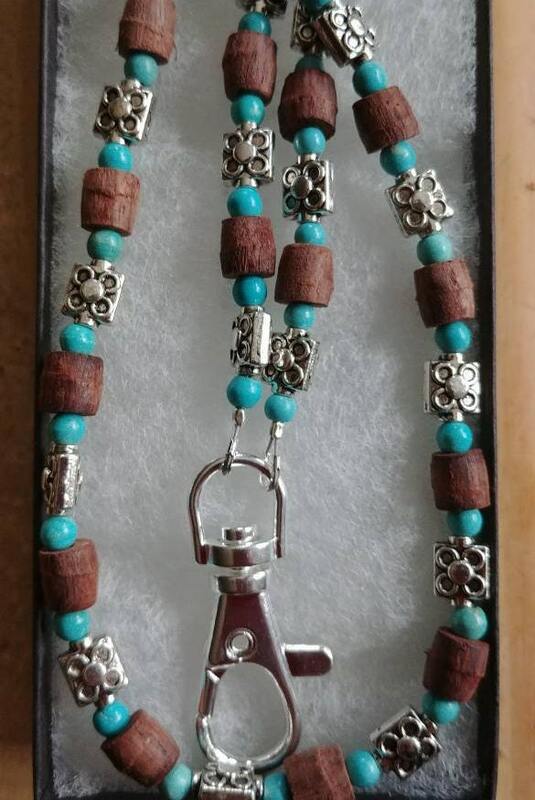 Enjoy a little southern beauty with this turquoise, silver, and brown piece. 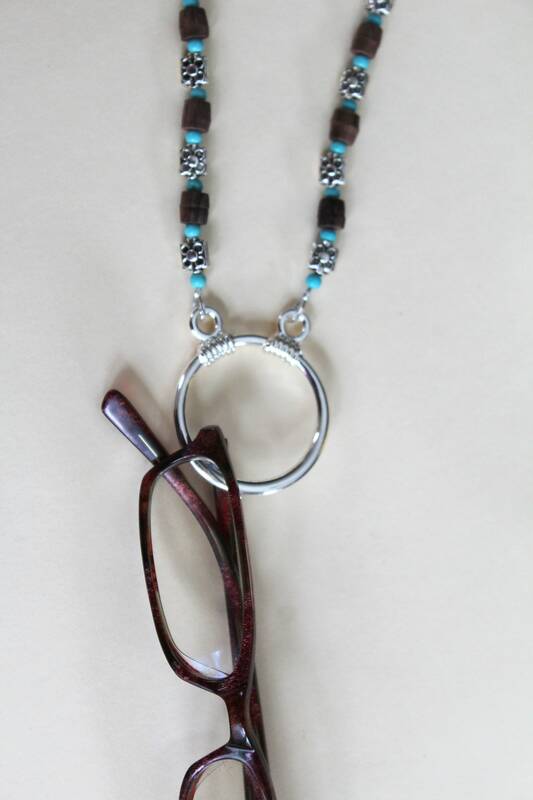 It is a rustic style eyeglass necklace that includes wood, flowers and the color turquoise! 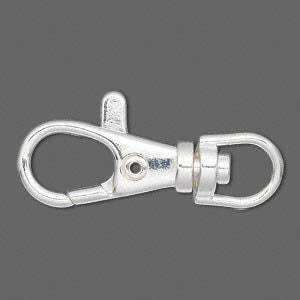 The wood barrel beads are approximately 7-8mm. 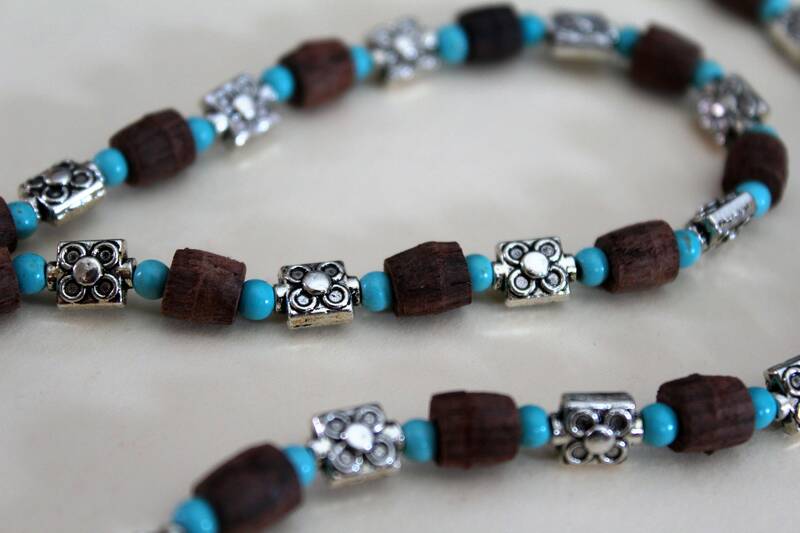 The flower beads are 8x6mm and are antique silver plated pewter. 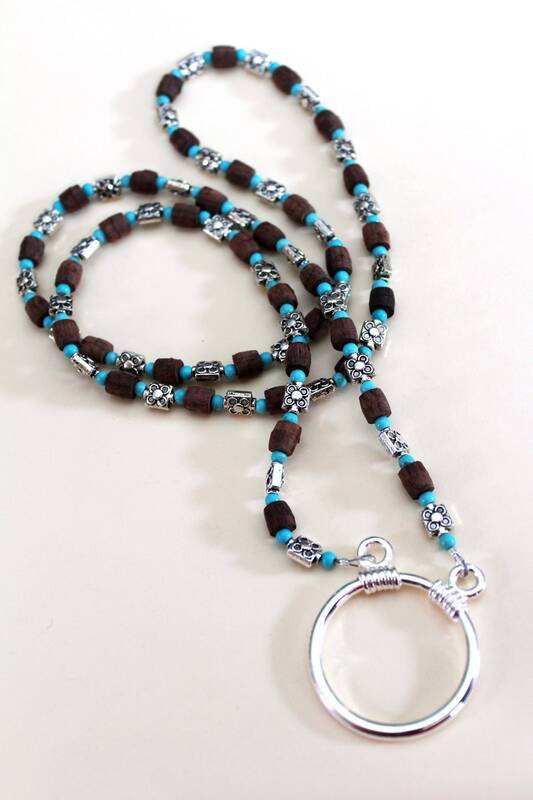 Each Eyeglass Necklace is approximately 32.5 inches (beaded section), not including the ring holder at the bottom which is about 1.5 inches long. 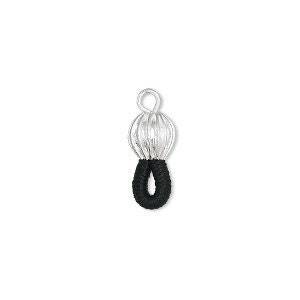 If you'd prefer Eyeglass Ends (instead of the ring holder at the bottom), your eyeglass chain will be a total of 29-30 inches long, including the ends. You can see what the black and silver eyeglass ends will look like in the second to last picture. If you have any questions AT ALL, please don't hesitate to ask! I'd love to hear from you! 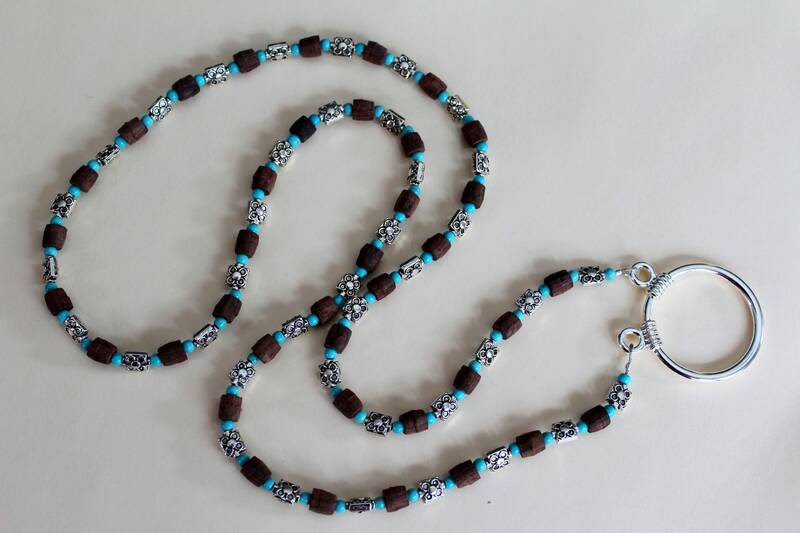 This designs is an original, created and handmade by Michele of MichelesAManoDesigns.